Come see the luxurious warrior procession! 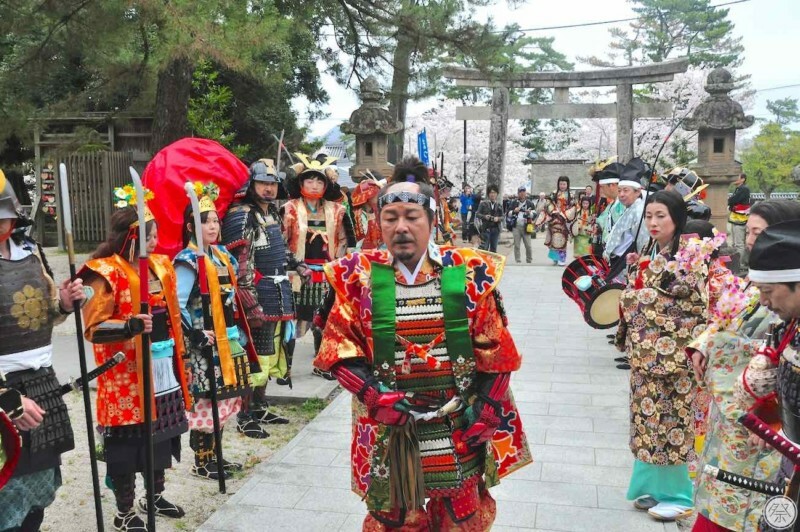 The warrior procession known as Matsue Musha Gyoretsu, held in Matsue City, boasts armor clad warriors (musha) and princesses in vibrant, colorful gowns in a reenactment of when the founder of Matsue, Daimyo Horio Yoshiharu, entered Matsue Castle with his clan. 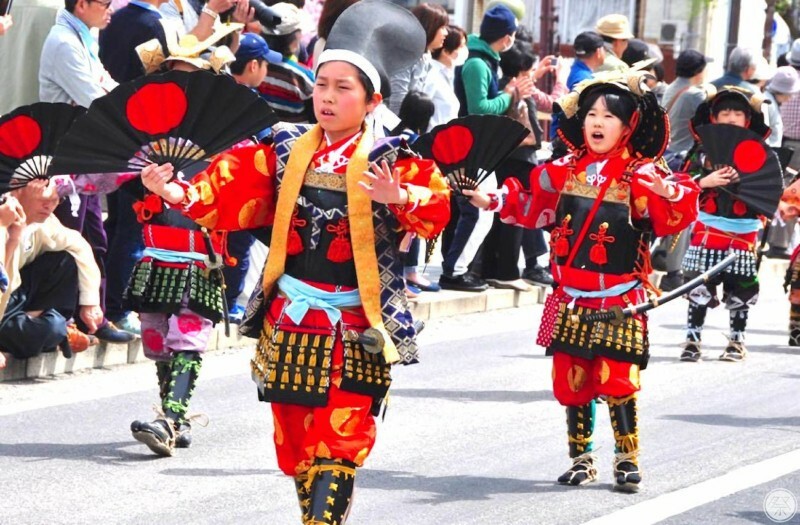 With over 200 annual participants, this civilian parade has become the trademark Spring event—held in whirlwinds of cherry blossom petals—for the local areas surrounding the city's castle. There is a wide variety of events held all around the city. 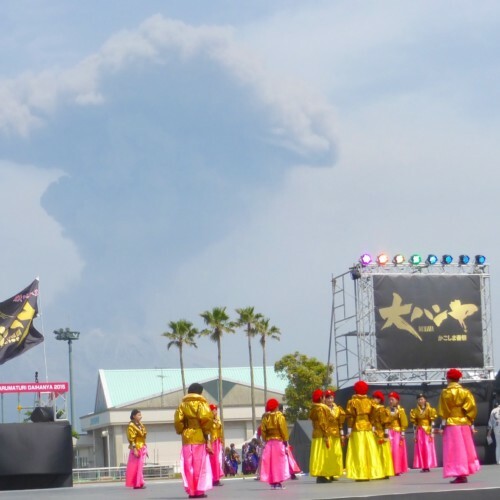 There is the Yoshiharu "Regime Deployment" Ritual and a station-front parade held in front of the JR Matsue Station, a military performance by a rifle brigade in Matsue Ohashi and Otemae, as well as photo opportunities and a chance for visitors to participate in the warrior parade at the Shirakata Tenmangu Shrine. Come watch a bold historical procession unfold below the beautiful blooming sakura for a Japanese Spring you won't forget! 1．Feel the power of Kachidoki! 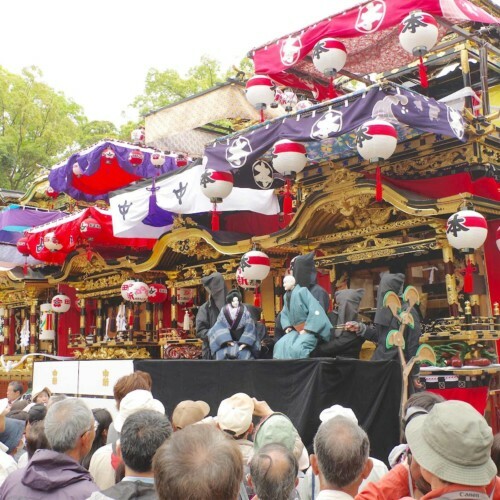 From around 2:50pm, the main event known as "Kachidoki" is held in Otemae by the castle. Kachidoki is the speech, or uplifting declaration, by warriors to their squadron in order to boost morale during battle. After the speech by leader Yoshiharu, words are given by the rest of the procession members before entering Matsue Castle. It is a powerful sight to see nearly 200 people do Kachidoki before entering this official national treasure. 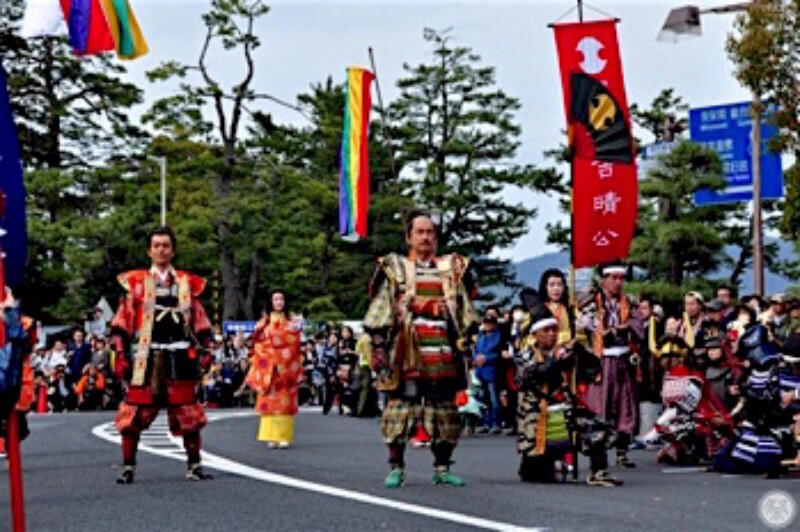 During the parade, you will be able to witness performances featuring swords and spears. 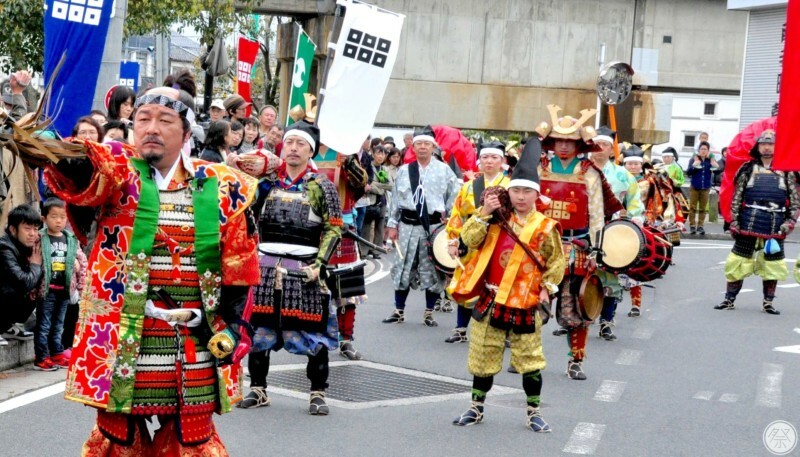 Performances are held in Matsue Ohashi around 1:30pm and in front of the Shimane Prefectural Building at 2:40pm. 3．Take a picture with warriors and princesses! 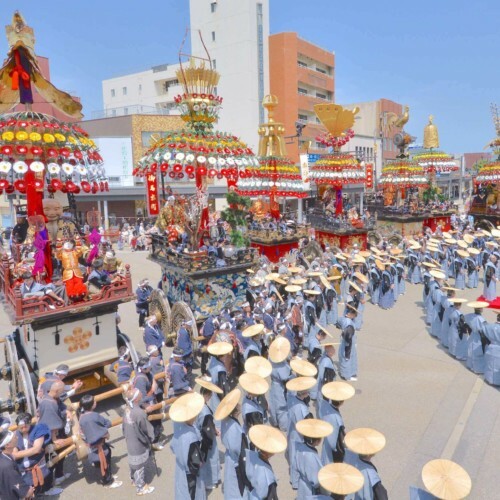 Photo opportunities with the members of the historical procession are held at the Tenjin roundabout from 11:00 to 12:00 and inside the Matsue Castle after the parade has finished. 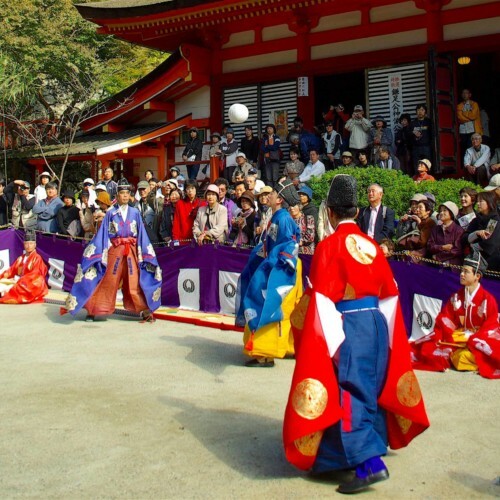 It is the perfect chance to take your picture with people wearing unique Japanese costumes like armor and kimono. Armor can be rented at the Karakoro Square, 11:00 - 3:00, April 1st. Plastic armor is 2,000 yen, costumes are 1,000 yen. Matsue Kageyama Kimono can be rented at the Kageyama Clothing Store, 11:00 - 3:00, April 1st. Price is 2,000. (Includes assisted dressing. Limit of 15 people). All rentals require prior reservation by the day before the festival. You will need personal ID to pick up your rental. 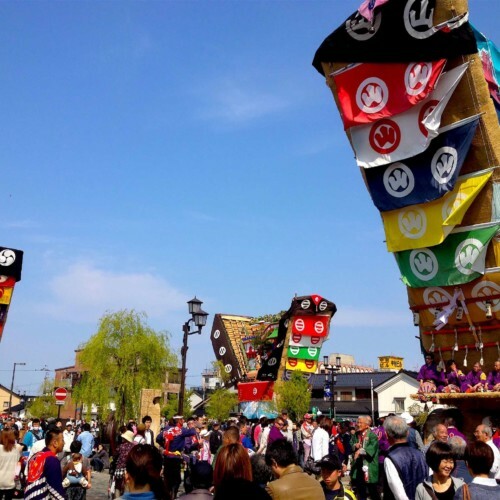 On April 1st, from 11:00 - 3:00, at the Karakoro Square. Visitors wearing armor, ninja costumes, or kimono are invited to join the tea ceremony for free. The parade times are not definite and are subject to change. Fore safety reasons, flash photography around the horses and the use of portable ladders and stools is prohibited. Take the Matsue City Bus on either the Kita Junkan outer loop or Minami Junkan inner loop.